For many of you, spring break is just around the corner! But we know that you’re busy and don’t have time to plan the perfect New York getaway—so we did the hard work for you! These trip ideas are quick, easy, and filled with fun activities to please the whole family. We’ve rounded up kid-friendly lodgings and activities to help you make the most of the warmer weather and free time. Don’t sit out spring break, go find some adventure! Or relaxation. You’ve got options. Take advantage of the amazing Family Spring Break Package at the Water’s Edge Inn in the heart of the Adirondacks. The deal runs from March 10 through June 13 and besides the complimentary breakfast, when you stay 3 nights, get the 4th weeknight free! The Inn has a heated indoor pool for when it’s not quite warm enough to swim outdoors, as well as a sauna, high-speed internet, and panoramic views of the lake from the Great Room. 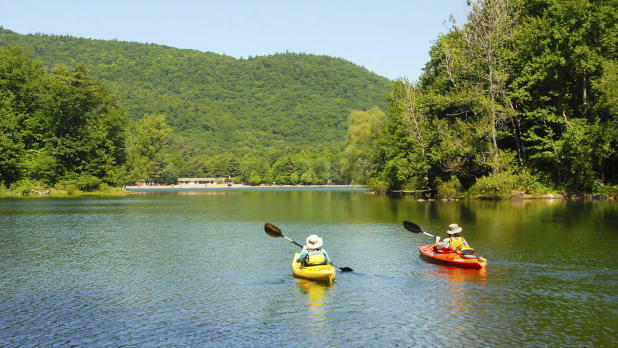 Plus, Old Forge is a very family-friendly destination. Head right across the street from the inn and check out Calypso&apos;s Cove Family Fun Center for rides, games, zip lines, go-karts, a climbing wall, batting cages, and bumper boats! You’ll get a 10% discount just for staying at the Inn. 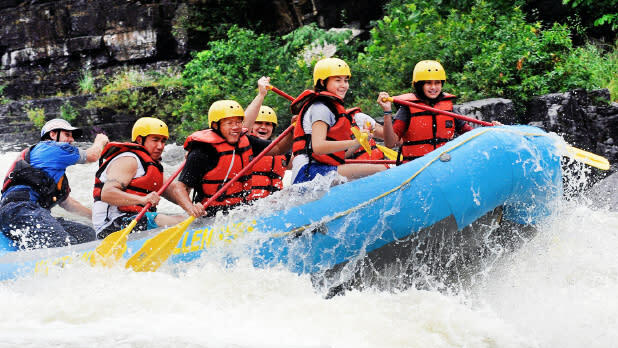 On any weekend in April, you can take your family of thrill-seekers whitewater rafting on the mighty Moose River. Be sure to swing by Benny’s Ice Cream for a sweet treat to top it off. Spring for a trip to Saratoga Springs this season. The Saratoga Downtowner Motel was once a motor lodge in the 1960’s but has been renovated into chic lodging near all the action. Included in your stay is complimentary breakfast, access to the indoor heated pool, oh, and kids under 16 are free! Another great option is the conveniently located Hampton Inn & Suites Saratoga Springs Downtown, where you can enjoy the gorgeous indoor pool, free breakfast, and super short walking distances to nearby attractions. For example, you’re literally a three-minute walk from the Children’s Museum at Saratoga. 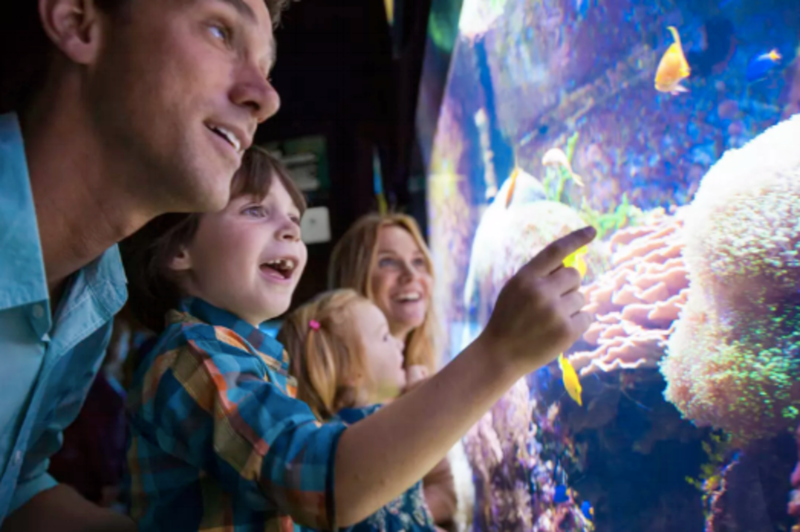 Take your little ones to explore all the interactive educational exhibits where they can pretend grocery-shop, run a bank, put on a theater performance, and explore the STEM room. Drive 20 minutes and you’ll reach Moreau Lake State Park, where you can lay back and relax on the beach and drop in your line for some fishing. Winter may be over (thankfully), but skiing destination Hunter is still a perfect getaway destination for families. Book your rooms at the beautiful Hunter Inn, where your family can relax in comfortable rooms with access to the TV room with a PlayStation, arcade, and game room with air hockey, Ping Pong, foosball, and pool tables. 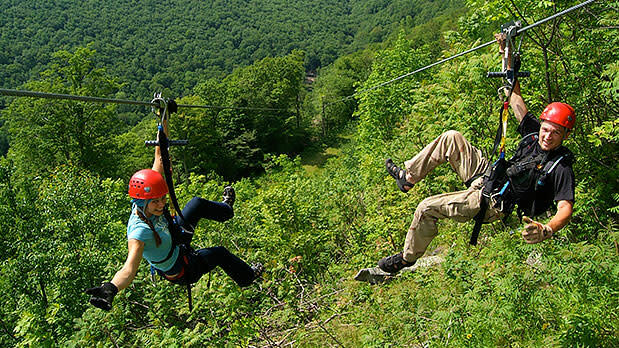 Moving on to the great outdoors, you must try the New York Zipline Adventure Tours, the highest, fastest, and longest zipline canopy tour in North America. It might sound intimidating, but the view flying over the mountains is so spectacular that it’s worth conquering any fears. Treat your little animal-lovers with a visit to the Catskill Animal Sanctuary where you can meet rescued animals at their happiest. On weekends in April, you can ride the Bunny Express at the Catskill Mountain Railroad, a scenic ride through the countryside with the Easter Bunny on board, making a pit stop for an egg hunt, of course. Yes, Cooperstown is famous for its baseball attractions, including the National Baseball Hall of Fame and Museum and the Cooperstown Bat Company Factory. 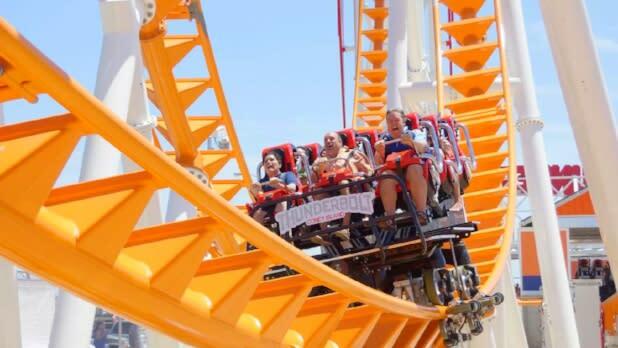 These are both amazing attractions even for non-super-fans, and you should definitely go! But there’s also much more to Cooperstown. You can see stunning natural scenery, like Glimmerglass State Park with its large sandy beach on the shore of Otsego Lake. It might be too chilly to go swimming but the weather should be just right for fishing and hiking the nature trails. Take a Glimmerglass Queen Boat Tour if you’d like a little background and history to go along with the sights. Then there’s the Farmers’ Museum, a “living” taste of New York history. Walk through a recreated historic village, chat with villagers, step into the one-room school room, and watch live demonstrations by the blacksmith. Kids will also love a ride on the museum’s hand-carved Empire State Carousel. Stay at the Holiday Inn Express Cooperstown (indoor pool? check! ), or the lovely Lake N’ Pines Motel for views of the water and complimentary use of the paddle boats! 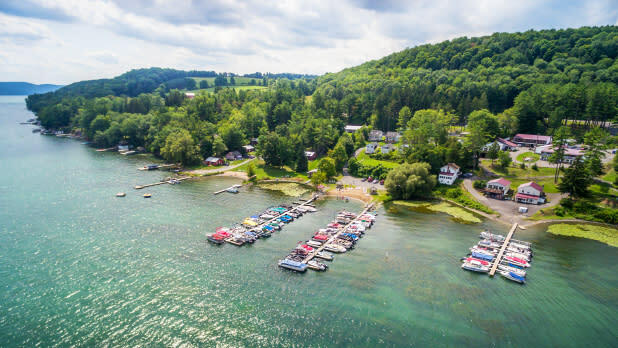 Escape to the calm and peaceful Chautauqua Lake for some R&R—with some belly laughs mixed in. Set up camp at the Chautauqua Suites Hotel & Expo Center where you’ll find clean, comfortable rooms with the lake right outside your window. Spend some time in Long Point State Park, a peninsula extending into the lake, providing the best views and plenty of trees for shade. You’re only a 15-minute drive from Panama Rocks Scenic Park, a magical natural landscape of winding corridors between 60-foot-high rocks. 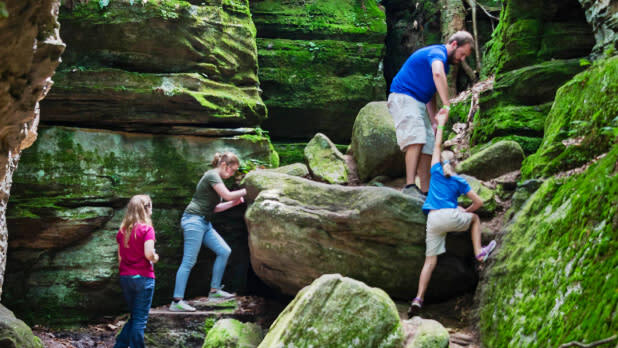 Walk the trail around the rocks and navigate through the nooks and crevices. The park includes informational signs that explain the geology, as well as an educational treasure hunt for the kiddos, and picnic tables for lunch. Head to Jamestown to check out the unmissable National Comedy Museum. The name of the game here is to laugh until your sides hurt with the help of interactive exhibits, games, and challenges. Ithaca is awesome for prospective students interested in getting a feel for the vibe around Cornell University and Ithaca College, but it’s also amazing for families with small kids too! You’ll get a great deal at the elegant Country Inn & Suites Ithaca, where kids under 18 stay for free. Plus, you can enjoy its indoor pool, complimentary breakfast, and shuttle service into downtown. You may have heard the popular saying “Ithaca is GORGES,” and if not, you’ll probably see it on T-shirts as you walk around town. This is thanks to the indeed gorgeous gorges that bless the city with more than 150 waterfalls within a 10-mile span. The largest is Taughannock Falls, which is actually taller than Niagara Falls. Ithaca Falls is a bit smaller but easily accessible from the street. Thanks to the local higher education institutions, the town is buzzing with restaurants, shops, and students. Inspire young curious minds at the playful Sciencenter, where you’ll find interactive exhibits for all ages. Vacations don’t come around every day, so make this one super special with a trip to Niagara Falls! It won’t be too cold, nor as crowded as during the summer—the timing is perfect. Stay at the nearby Quality Hotel & Suites at the Falls (it’s actually walking distance from the Falls). Good news for big families: they have suites for up to six people, as well as an indoor pool and an onsite restaurant. Instead of just looking at the Falls, get up close and personal—and sprayed!—on a Maid of the Mist Boat Tour, which opens up for the season in early April. And don’t let any April Showers spoil your vacay, just head to the fantastic Aquarium of Niagara, where you can watch penguin feedings, harbor seal presentations, and sea lion shows. You can also explore the well-groomed gardens of the Buffalo and Erie County Botanical Gardens both indoors and out. You’ll be just in time for the special Spring Exhibit with more than 22,000 bulbs of spring flowers and a mini-farm with chicks, ducklings, and bunnies! Discover the extravagant and fabulous past of Long Island’s Gold Coast, known for its magnificent estates and world famous inhabitants of the early 20th century. Steel and transportation magnates saw the beautiful coast along the Long Island Sound and built their mansions, many of which still stand today, including the summer mansion of William K. Vanderbilt II. 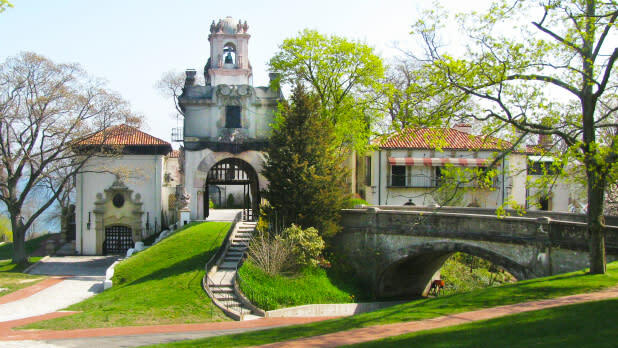 The Vanderbilt Museum & Planetarium in nearby Centerport makes for an amazing visit not only for the incredible collection of William’s souvenirs and the architectural beauty of the house, but also for its newer state-of-the-art planetarium. Enjoy spectacular programming in the 60-foot dome theater. Look up from the rooftop observatory, open to the public on Friday nights, and see the stars through the Vanderbilt’s 16-inch Meade reflecting telescope. Long Island also has a long history of fishing, which you can learn about with the help of the live exhibits at Cold Spring Harbor Fish Hatchery. In addition to the 30 different species of freshwater fish you’ll see inside, outside you’ll find a number of ponds with fish at all stages of life. Check the schedule on their website for hatchery tours, feeding demonstrations, and animal encounters all throughout April! Post up at the Hilton Long Island Huntington where you can enjoy gorgeous indoor and outdoor pools. Even if you live near the city, there’s nothing like waking up in it and stepping out onto streets abuzz with activity. For some folks, the hustle and bustle can get a little hectic, which is what makes Brooklyn such an appealing option. You have so many fun activities just a subway ride away and some peace and quiet come nighttime. Go upscale at Aloft New York Brooklyn, close to Prospect Park, the Brooklyn Bridge, and the Slice of Brooklyn Pizza Tour! We don’t know if touring the literal world’s best pizza is your thing but...why wouldn’t it be? Alternatively, the Holiday Inn Brooklyn Downtown in Boerum Hill doesn’t charge for kids under age 19. Treat your kiddos to the playful exhibits about nature, color, history, and science at the Brooklyn Children’s Museum, and ride the F train out to visit the uber fun Luna Park at Coney Island, filled with epic rides, treats, and games. It’s open every weekend in April and every day between the 21st and 28th. Watch your kids’ faces light up when you tell them what’s in store for your stay at the Pine Ridge Dude Ranch. 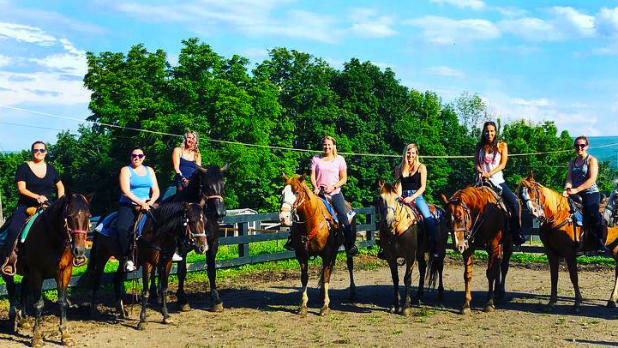 Saddle up for miles of wooded trails on horseback, passing panoramic views of the Shawangunk Ridge. Don’t worry, beginners, you can choose the pace that’s right for you. If your kids are passionate about horses, the ranch also offers private lessons, education sessions, stable tours, and lassoing instruction! Choose activities like archery, fishing, paddle-boating, climbing the rock wall, visiting the petting zoo, playing volleyball, tennis, basketball, mini-golf, and more. There’s even an indoor heated pool with water slides. Plus, you get three all-you-can-eat meals each day, and you’ll definitely work up an appetite after all the fun activities. From made-to-order eggs in the morning to freshly baked buttermilk biscuits and BBQ for dinner, it’s the perfect respite from cooking dinner! From April 12–27, kids are 50% off. And if you stay 3 nights, get the 4th at 50%. Stay 4 nights and get the 5th night for free! 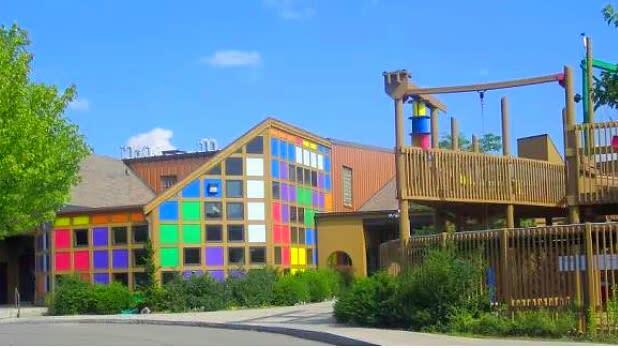 If you’re driving up from the south, make the best pit stop ever at the LEGOLAND Discovery Center in Westchester, an exciting indoor playground with build-and-play zones, a 4D theater, and more. And stay tuned—a LEGOLAND theme park and resort is coming in 2020! Find your home away from home on the shores of the St. Lawrence River when you book one of the Angel Rock Waterfront Cottages. The cottages are spacious and comfortable, surrounded by flowers, and share an in-ground heated pool. 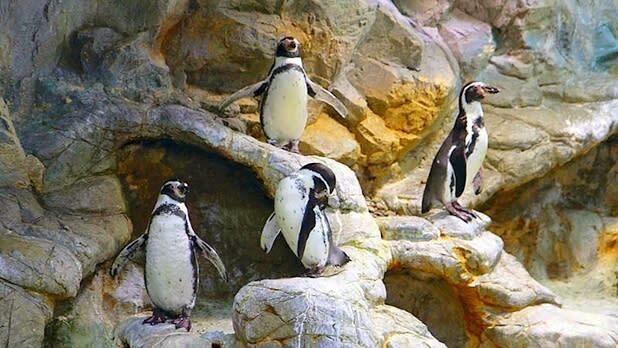 Best of all, many of them have direct views of the water. The onsite amenities include shuffleboard, sand volleyball, horseshoe pits, and a playground, and kayaks and a canoe are available to rent. You’re also near prime fishing waters perfect for catching Muskellunge, Walleye, Northern Pike, Lake Trout, and Bass. The Angel Rock staff are knowledgeable about where to go and can help you find a guide. Also explore beautiful Wellesley Island State Park, where you can swing by the Minna Anthony Common Nature Center to check out the nature museum, trails, and butterfly house! April 22nd is Earth Day, after all, so what better time to get in touch with nature? 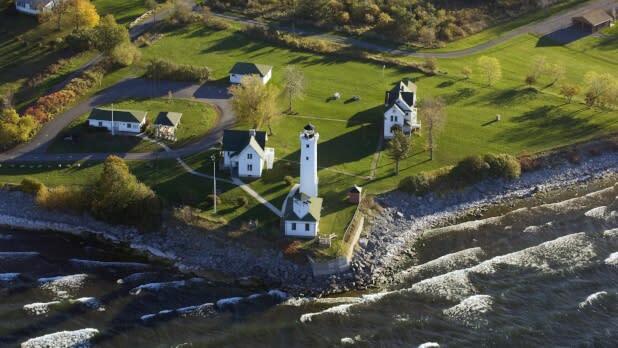 Finally, you’ll want to visit historic Tibbetts Point Lighthouse which marks where Lake Ontario meets the St. Lawrence River. Use the telescope to gaze out across the bi-national waters and enjoy the view! Don&apos;t forget to post photos of your New York adventures on Instagram and Twitter with #iSpyNY and tag us on Facebook!